Stephen Colbert Made a Children’s Book Out of Trump’s Post-Hurricane CommentsAll proceeds will go to organizations that help hurricane victims in the Carolinas. Trump to Hurricane Florence Survivor: ‘Have a Good Time’Incredibly, he said the same thing to victims of Hurricane Harvey last year. Trump: Hurricane ‘One of the Wettest We’ve Seen From the Standpoint of Water’Whether Florence is also wet from other standpoints is a question the president did not address. 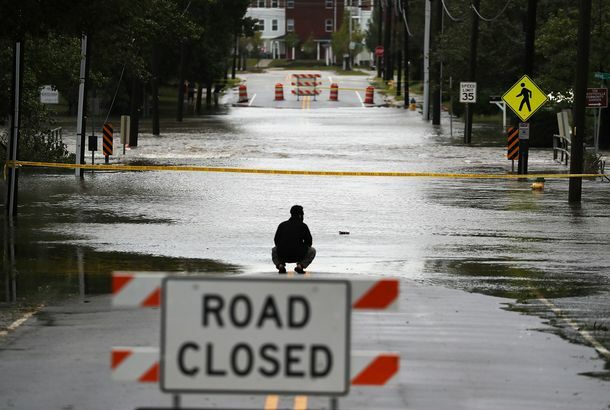 Florence: Already-Catastrophic Floods Are Going to Get Even WorseWaterways throughout the Carolinas are being overwhelmed by the storm’s record rainfall, 17 people are dead, and more water is coming. FEMA Head Doesn’t Get Why People Care About Real Hurricane Maria Death TollHe also used an unfortunate example involving spousal abuse to illustrate his problems with a updated victim estimates. Trump Continues to Promote Puerto Rico Deaths Conspiracy TheoryThe president will never back down from a lie that makes him look good, and this one is no different. Where Is Hurricane Florence’s Path? Tracking the Expected Route of the Storm.Here’s where the storm is expected to go. José Andrés’s Relief Kitchen Has Arrived in North CarolinaFor the first time in its history, the chef’s World Central Kitchen is showing up mid-disaster. Woman Escapes Hurricane Florence With Her 7 Dogs After Strangers Rent U-HaulAfter a report on CNN and a subsequent crowdfunding campaign, she has safely escaped South Carolina. Trump Says Hurricane Florence Is ‘Tremendously Big and Tremendously Wet’A not-very-reassuring description. Evacuations Begin As Hurricane Florence Bears Down on CarolinasMore than a million people were ordered to leave ahead of the storm, which is forecast to arrive on Friday morning. Florence Likely to Hit East Coast as Major Hurricane This WeekThe governor of North Carolina has already declared a state of emergency ahead of the storm.